The futures are an interesting market to trade, especially for the retail trader. It offers many benefits such as lower trading capital, trading on leverage (yes, it can be risky) and the ability to go long or short on the contracts, among other things. If you are new to futures trading and want to enhance your skills as a futures traders, reading is probably the best way to go about it. Most retail traders often prefer the easier route such as taking a course or buying a black box trading system in order to advance their trading skills. However, these short cuts don't really help you in the long run and for the most part; futures trading courses are probably as good as the tutor. There is a 50 - 50 chance that it will help you, but for the most part, traders often feel disappointed. It is for this reason that futures trading books stand out as they can give you a wealth of information with the best part being that you can always refer to them anytime you want, unlike a trading course for example. 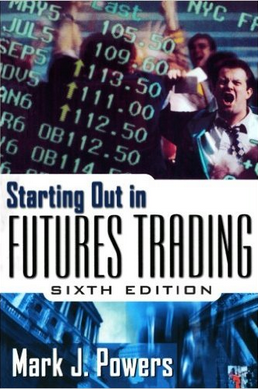 There are many books on futures trading and covers a wide range of topics. Remember that the futures markets are vast and therefore it can be overwhelming once you start browsing the titles. To get started with futures trading, the most important first step is to ask yourself what markets you want to trade. We already know that the futures markets you can trade can play an important role due to varying margin requirements and the tick size and value. Once you answer this all important question, it gets a lot easier to find the futures trading books that must read. In this article, the seven best books for futures trading cover some basic aspects of the futures markets, a bit of fundamentals and technical analysis followed by a collection of other titles that are specific to some of the more popular futures contracts. What better way to get started with futures trading than a primer that does not get too technical but at the same time gives you just the right bits of information to keep you engaged. 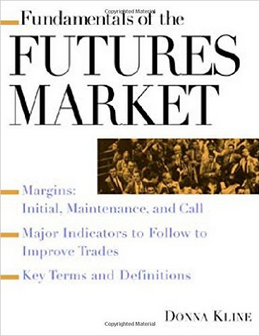 While many prefer to jump right in, Richard E. Waldron's Futures 101 (2000 edition) is probably the best start. There is no technical jargon used and the writing style is without any bias. The book neither encourages nor discourages you to trade futures but simply presents the facts as is. There are no trading systems here either and the author also gives a detailed analysis of Hillary Clinton's tryst with trading the futures markets. 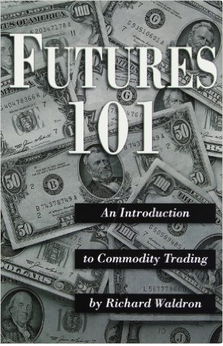 Futures 101 won the "Book of the Year" award in 1998. This book is just right if you are a complete beginner to futures trading and offers a light quick reading. In short Futures 101 is a professional booklet that could also be called "Futures for Dummies." Starting out in Futures trading, holds true to the title. It is a book that is serious stuff, written for serious traders. Mark Powers, the author of the book offers a comprehensive walk through about the futures markets. It can get technical and deep at times, but if you are serious about trading the futures markets, this book makes for a good technical start. The book is currently in its sixth edition and covers all aspects including the rules and regulations, importance of stock indices, how to choose a broker and the nuances of placing the different types of orders. Mark Powers the author is said to be a key participant in drafting many of the original contract specifications for currencies and financial derivates, so the information offered in the book is backed by some credibility. Powers also served as the chief economist for the Commodity Futures Trading Commission at one point. The book might seem a little bit outdate for some, but nonetheless it lays a good groundwork to begin with. If you are new to futures trading and want a thorough dive into the futures markets and don’t mind the technical aspects then Starting out in Futures Trading is the perfect book to begin with. Donna Kline is a financial news report with Bloomberg TV and served as a market analyst for "The Floor Report" broadcasting live from the Chicago Board of Trade and also made frequent appearances on CNBC's Squawk Box. Kline also presented many futures and options workshop seminars in the U.S.
Kline also gives lots of tips to improve your trading and how you can profit from price changes and avoid some of the common trading mistakes. After you get your feet wet with Futures 101 or Starting out in Futures Trading, Fundamentals of Futures market is the obvious next step. Don't let the year of publication mislead you into putting this book aside. 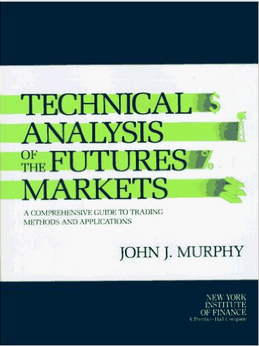 If you have had any experience with the financial markets and technical analysis, then you would know that John J. Murphy is perhaps the most well known name in technical analysis circles. The face of Stockcharts.com, Murphy is renowned for his books on technical analysis. A familiar face on the financial media including Bloomberg and CNN, Murphy's Technical Analysis of the Futures Markets is the bible for chartists or technicians. The book supports all skill sets and is considered to be one of the foremost authorities on technical analysis. Technical Analysis of the futures markets takes the reader into the different technical analysis methods that you can use. Of course, it doesn’t go in-depth but lays a very good foundation from which you can build upon. The book covers the most simplest of technical analysis such as moving indicators and advances to complex technical analysis methods such as Elliott Waves and Cycles. Larry Williams is a well known name in the financial markets; perhaps best known for his Williams %R technical indicator. Being a futures trader, Williams is considered one of the well respected names in futures trading and has published several books. Long-term secrets to short-term trading, is a book that offers you insights into how to use technical analysis for the futures markets. It covers various topics such as speculation, volatility breakouts and finding profitable patterns in the markets. The book is balanced as it does not only give you methods to trade but also gives you insights into the why, such as the market behavior. 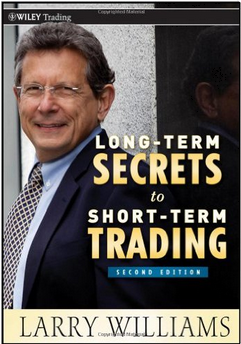 For day traders in the futures markets, Larry Williams' Lon-term secrets to short-term trading is a must have as it encompasses the little details a futures trader should know. There is a good section of the book dedicated to position sizing and risk management which is highly informative. 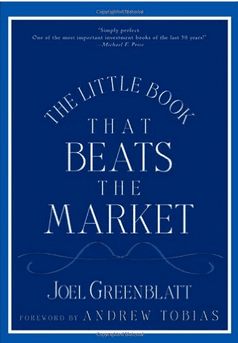 What are futures trading without mentioning a book about the Commitment of Traders report? Larry Williams' book on the CoT report is considered to be one of the best there is to know about how speculative money is positioned in the markets. Larry gives a detailed outlook into explaining the various sections of the Commitment of Traders report released weekly by the CFTC. 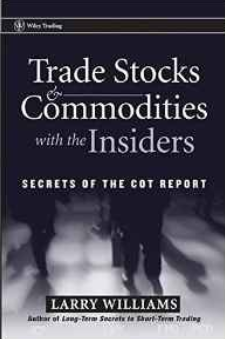 If you are looking for the one thing that will keep you on the right side of the markets, then Williams' Secrets of the COT Report is the book to have. However, the COT report is more suited for commodities such as agriculture and Crude oil to a certain extent as well as the currencies. 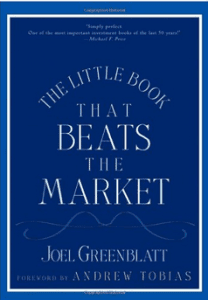 Therefore if you are expecting to see some tricks of the trade about other futures contracts such as E-Mini S&P then this book will disappoint you. Still, there is a lot of information that you can apply to your futures trading. Mike Bellafiore is a well known name among the prop trading circles. Owner/co-founder of SMB Capital, Bellafiore is also a well known trading coach. The book, One Good Trade has nothing to do about futures trading, but gives you tons of insights into how professional traders trade. One Good Trade builds upon the years of experience drawn out from the prop trading firm and also tunes your mind into how to think like a prop trader. While it is good to know the fundamentals and the technicals of trading, it is nothing without proper risk management or reviewing your trades. 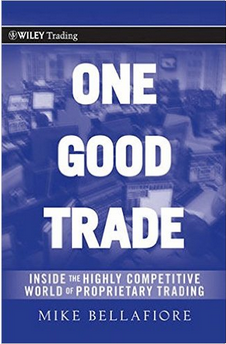 One Good Trade takes you a journey and the book makes for an engaging reading as the content if fairly balanced. Mike Bellafiore's One Good Trade has received rave reviews from some of the well known authorities in the financial markets including names such as Brett Steenbarger a PhD on trading psychology and professional trading coach. One Good Trade will take you on a journey and by the time you reach the last page, you will be certain that your thinking about trading will have definitely changed for the better. The above seven books are by no means the go-to books as there are many more books that will help you on your journey in the futures markets. However, the above books have been carefully selected keeping in mind the retail futures trader. You can start off with the light reading from Futures 101 and quickly advance into the fundamental and technical aspects of trading and finish it with an inspiring book on prop trading and trading psychology.